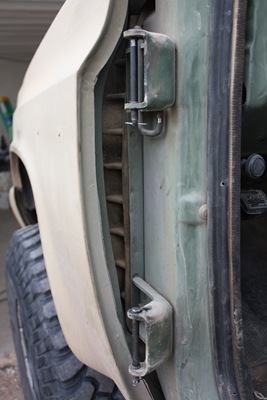 Here are some basic instructions on how to convert the stock hinge pins on your blazer or any vehicle for that matter into quick release pins so whenever you want to remove the doors to re-align the hinges or just remove them for some fun you can do it in about 10 minutes instead of the 30mins. 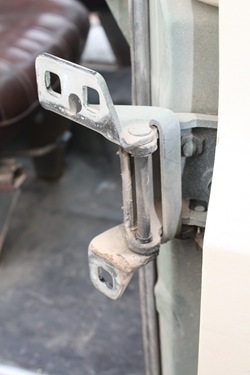 It also allows you to keep your hinge alignment when you remove the doors allowing for hassle free installation Also in about 10 min. 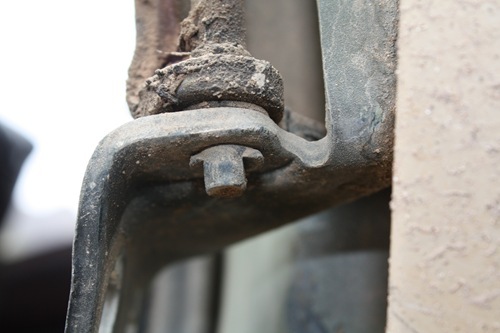 Four Cotter Pins to hold hinge pins in place. I got mine from a hobby store as they are the pins that hold the body on a r/c car chassis. 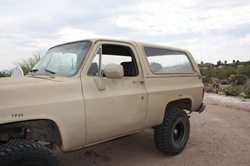 First using the sharpie mark where the hinges are bolted on the doors so after you remove them you will be able to put them back on in the same places and keep your doors properly aligned with the body of the vehicle. 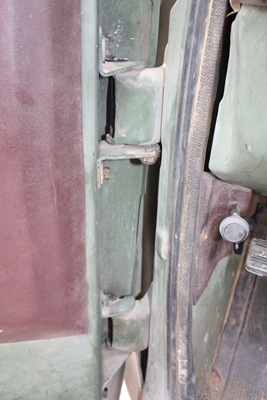 Next unbolt the door from the hinges so that the door in completely removed from the vehicle and the hinge assembly is still attached to the vehicle. Now you will need to hammer out the pin that hold the two halves of the hinges together, but first we need to grind the tabs on the bottoms of them off so they will come out. 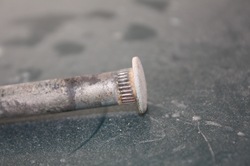 Using the grinder or dremel, cut the tabs off the bottom of the pins so they will slide in and out of the hinge. 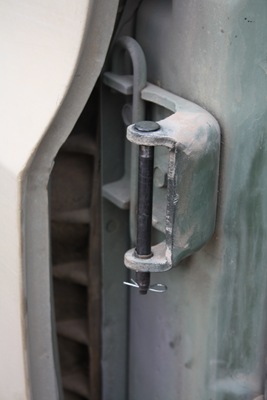 Be careful to only cut the tabs off the hinges as we will be using the part that sticks out of the bottom to put cotter pins through so the pins can’t fall out. 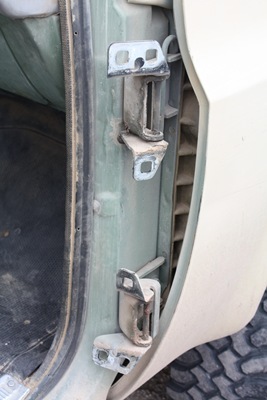 Now hammer the pins out and remove the door side of the hinge and put it aside. 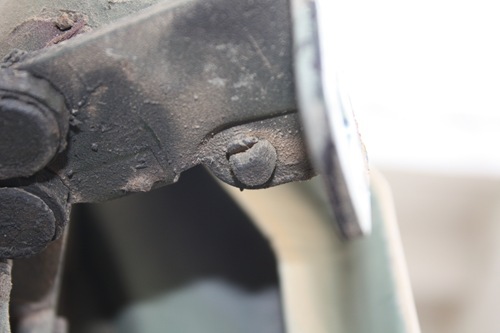 Try not to damage the bushings like this in the hinge as they will mess up door alignment if they are missing by allowing the door hinge to have play in it. Now it is time to do a little modification to the pins so they can be easily removed and replaced. First you need to remove the splines near the heads of the pins as these make the pins difficult to remove from the hinge. I used my grinder to grind that area smooth so they pins are able to slide in and out easily. 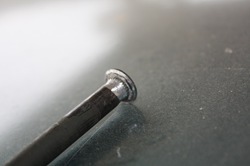 Now using your drill drill a small hole for the cotter pin to go in. 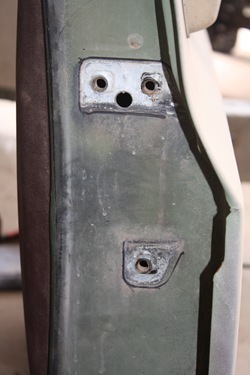 Make sure it is below where the tabs were as the hole needs to be below the bottom of the hinge assembly so you can get your cotter pin in and out. 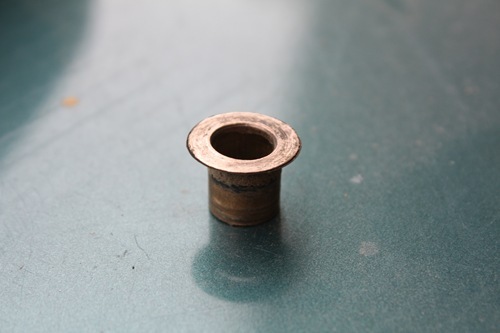 After drilling the holes for the cotter pins you are all se to begin re-assembly. 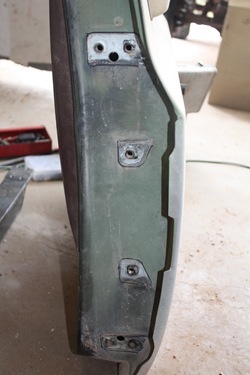 First you will need to bolt the door side of each hinge back to the doors using the sharpie marks you made before you unbolted them as guides to align them again. 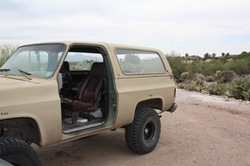 After that is done you can put the doors on and drop the pins in place. 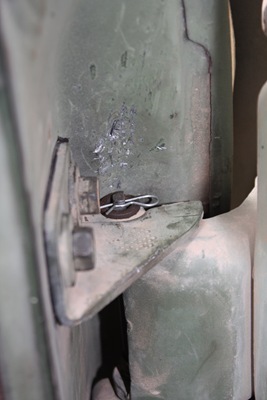 To make removal easier I put the top in in upside down (the picture above) as the pin will not go in or out if placed in from the top because it will hit the door. Once the pins are in and you place the cotter pins in you are done! Looks dang good Miles, real good step by step.